How does this guy hit these high notes? I believe they are around D6. Is it mixed voice? head voice? falsetto? They sound outrageous. He does that again and goes even higher here. He hits an E6. I've been observing this guy for a while. I wonder what Ken thinks about him and if Ken can do that (and then teach us), too! This question intrigued me, because this guy is from the same part of the world as I am. I don't want to pop anyones bubble, but here it goes. He was very famous in Russia and Asia about 10 years ago. There were lots of speculations around his voice when he first appeared. One stating that no one ever heard him sing live, and that it is not actually him singing most of those high notes. Being from that part of the world, I don't find it hard to believe. I am sure you can find a good number of cases when this was done if you look into it. 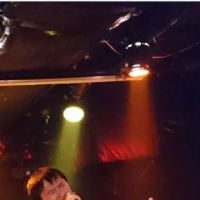 First, he is much older here, so there is no way he can sing exactly like he did 10 years ago. Second, he is not even trying to pretend to actually sing those high notes. The truth of the matter is this, very few performances of Russian pop artists are actually live, most are just lip syncs. So I am not surprised if this is the case for him as well. Not to say that a man cannot sing like this. Suppose he does, or at least he did when he was younger. First of all, he must have naturally high voice. Second, he must have worked hard to sing well. I am sure anyone can learn to sing those high notes with time, but they won't sound that light and flutey, unless you naturally have a high and light voice. Yep in Opera #2, first two or three times through the verse it's a C6, last time at the end they bump it up a half step to C#6. That would be the 20th and 21st fret high e string for those guitar pickers out there. It's a very full falsetto tone with good chord closure afaik. Some people just have extended ranges. I don't consider my voice high at all. I'm a pretty basic baritone with most of the tenor range in chest, but I can fairly well duplicate opera#2 without the vibrato on the notes. If I try that it drops out instantly (but I generally have alot of trouble with vibrato still anyway). I've seen some live performances of it on youtube and I would have to agree he is obviously not singing it as he is pulling the mic close then far away from his mouth and there is no change in vox volume levels. I think all this chest voice stretching has helped extend my falsetto at the same time. I can hit the e6/f6 most days now (not that I try to sing those squeally notes everyday, my neighbors would probably think I was murdering a 12 year old or something). I think he hits C#6 and slides up to a D#6 on dedication. 21st to 23rd fret for our guitar buddies out there. All his soprano notes seem to be sang in pure head voice to me. 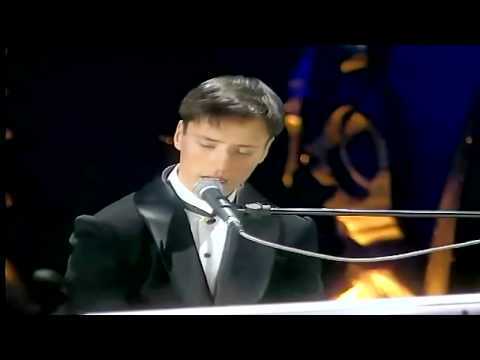 Unlike Zheng Yu Sheng`s famous D6,which was achieved with a very timbral head voice (so timbral that even sounded like mixed),Vitas seems to use ordinary non-timbral head voice on and on.